I've lost count of the actual number of times Aliens have been pitted against someone in a comic. It's surely enough that it doesn't matter any more, and we can just throw them in the ring against anyone. 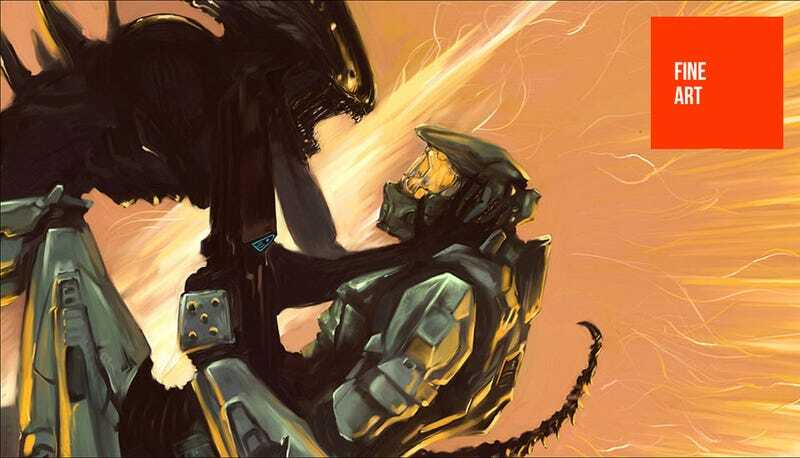 I mean, if they can fight Batman and Robocop, then surely Master Chief—who fights in space for a living—is on the cards. That image up top is by Martin Houlden, an artist who currently works at Frontier Developments, the studio currently trying to scrape together enough cash to make a new Elite game. You can see more of his work at Martin's personal site.